Embrace the magic of Mykonos in the heart of the South Aegean with a sumptuous stay at the stylish and elegant Mykonos Grand. Keeping to distinctive classical Greek style, the hotel and its 103 rooms are a beautiful boutique spread of pristine, white-washed walls and splashes of blue shutters. Branded as both the ‘Capri’ and the ‘Ibiza’ of Greece, this utopia boasts the best of both worlds – Ideal for a relaxing, romantic retreat or an exciting, cutting-edge beach break. 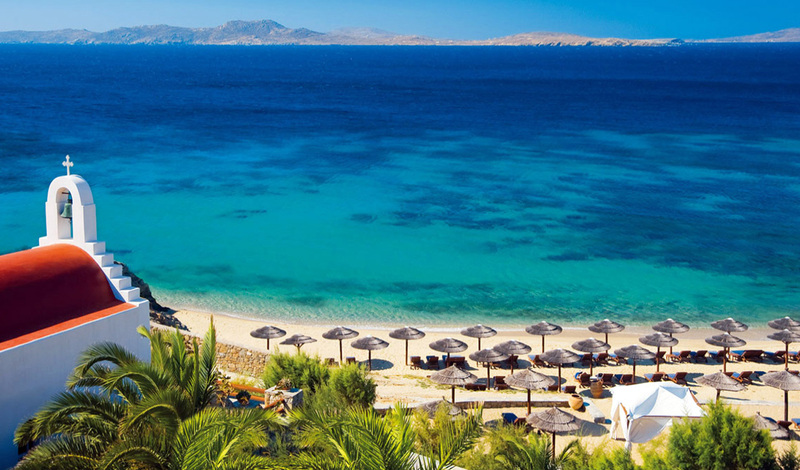 The Mykonos Grand is a short 10 minutes’ drive from both Mykonos Island’s ferry port and its domestic airport, conveniently set on the secluded Ayios Yiannis beach, facing the sacred island of Delos. 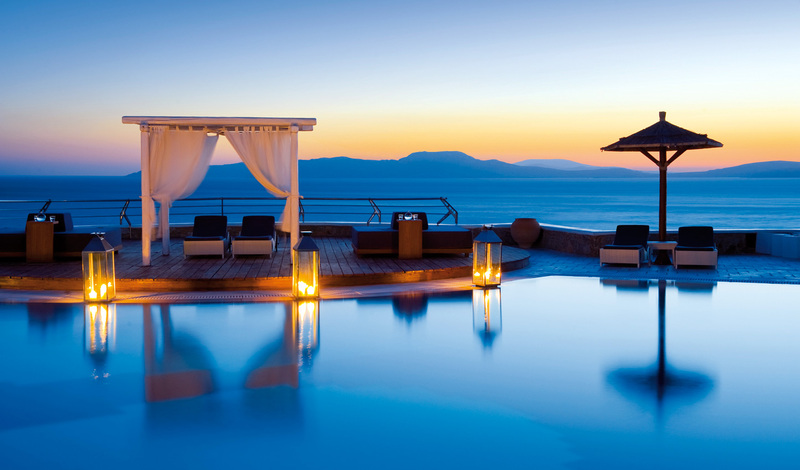 The hotel is also less than 10 minutes’ drive from the famous nightlife hub of Mykonos town, where you’ll relish in a few sophisticated cocktails and might find yourself dancing into the early hours. The unbeatable Mykonos Grand’s location gives rooms truly stunning views southwest over the sapphire Aegean for the most sensational sunsets. Spacious and soothing with clean white interiors, complimented by cool marble floors, all rooms boast a serene and relaxing environment to unwind. Its suites more than ooze luxury, equipped with free-standing tubs, steam cabins and most with infinity pools, all in complete private comfort. For you honeymooners, personalized dining such as suite-based barbecues, an intimate picnic on the beach or a romantic candlelit dinner can easily be arranged. Creative and original in showcasing its stone-built amphitheater, the Mykonos Grand boasts the ideal open-air setting for yoga and pilates classes should you wish to de-stress away from the pool. Alternatively, relax and refresh your mind, body and soul at its Althea Spa, where Mediterranean ingredients are combined with ago-old Greek therapies, producing the finest treatments – we’d recommend the Thalasso Detox.